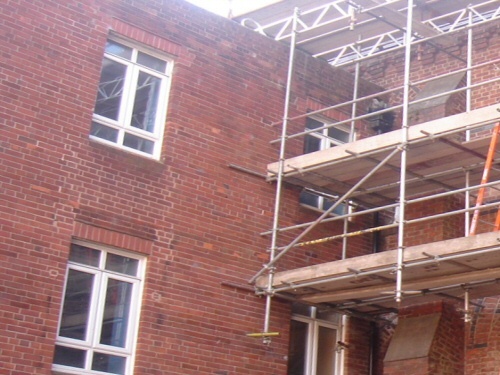 With over 25 years in the scaffolding industry, Apex Scaffolding are experienced at providing both simple and complex gantry scaffolding solutions. A high access span between two buildings. Bridging over a conservatory or other sensitive roofing material that cannot hold any weight. Cover for an access road or pedestrian walkway with netting to protect from falling debris. Temporary stage work structures for entertainment venues, including lighting rigs. Our highly Trained and Accredited Workforce will be happy to assess your needs. To enquire about our gantry scaffolding, please email or give us a call.